I know that here on the west coast of Canada, our winter weather is very gentle compared to other parts of the northern hemisphere. 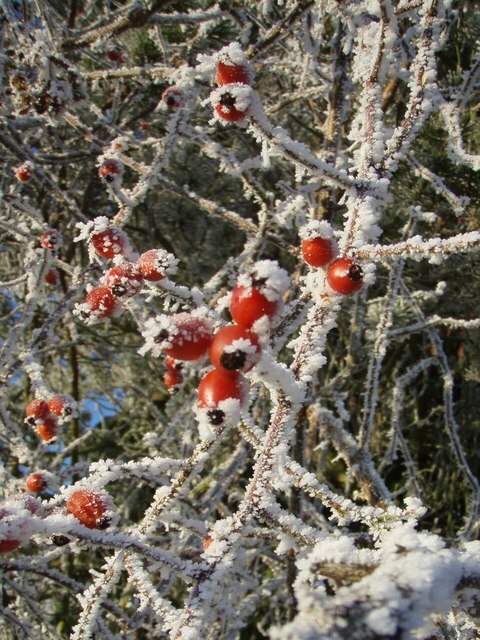 Winter here usually means plenty of cold rain, shorter days and a few freezing cold spells. Making a garden interesting through all 4 seasons can be a challenge as the rains and frosts eventually finish anything that isn’t an evergreen. It is always a bonus when a plant looks interesting for more than one period of the year. A number of roses in the garden remain interesting because of their rose hips. They will keep their colour a little longer into winter. The species roses and their close hybrids tend to show the best hips . 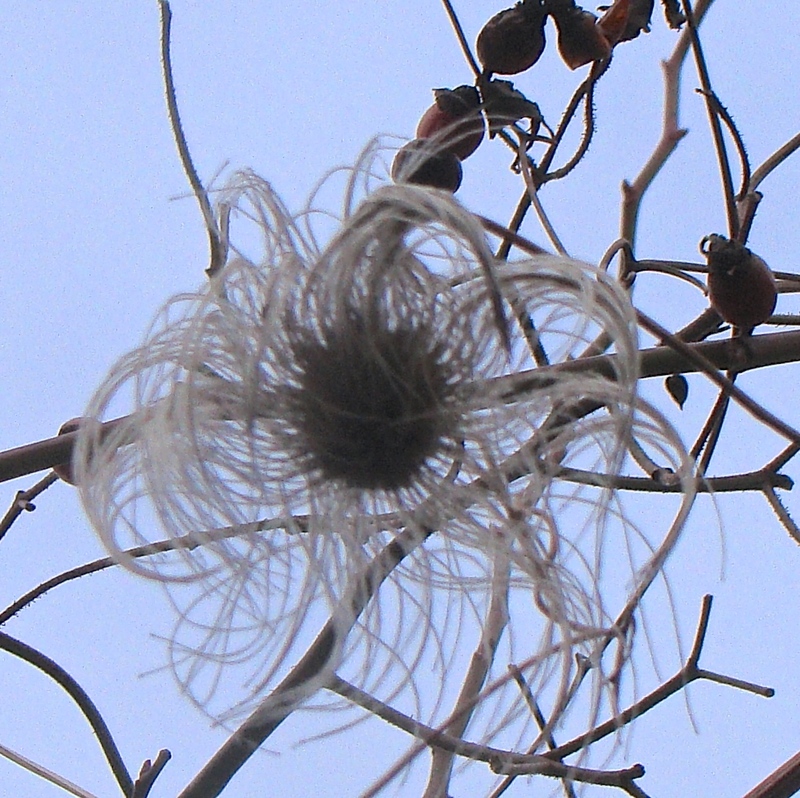 There are still some fantastic, flouncy seed heads on clematis Tangutica. Like feathered pompoms, c. Tangutica’s seed heads right through an old pear tree and into a rambling rose Lykefund. 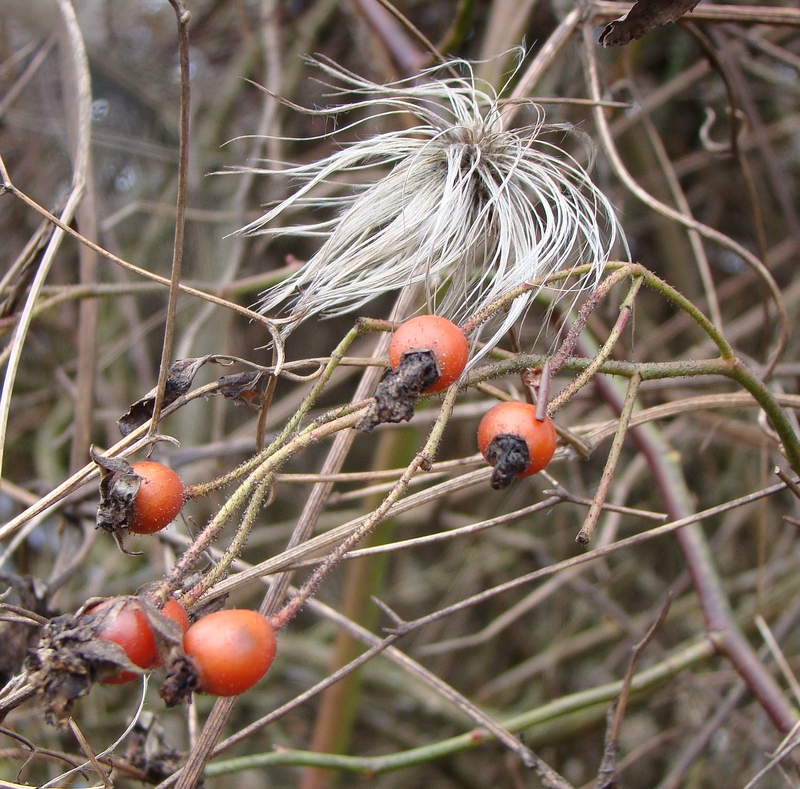 This entry was posted in Uncategorized and tagged clematis seedheads, Elizabeth Sheppard, garden, rose hips, west coast wintertime, winter interest by topdrawerdecor. Bookmark the permalink.